Swartzwelder’s creative output alone makes him an object of fascination for any comedy nerd, but peculiar tendencies and a highly private nature elevate him to mythical-creature status. (This is how Swartzwelder might respond to a request for comment.) The most common, and perhaps telling, bit of Swartzwelder trivia, as told/confirmed by Simpsons creator Matt Groening in a Simpsons DVD commentary: After smoking was no longer allowed in the writer’s room, Swartzwelder started writing from a coffee shop, returning to the office to deliver completed scripts. After smoking in restaurants was banned in California, Swartzwelder bought his favorite booth from the coffee shop and installed it in his house. For a man that leaves nary a trace, his Twitter account, with less than 8,000 followers, is a largely overlooked source of information, if not enjoyable content. The A.V. Club noted in 2016 that Swartzwelder uses his Twitter account simply to promote his books. This is not entirely true. He also shares old ad spots from his pre-comedy career in advertising, like this one for a Pontiac, and another for Kitty™ cat food. These advertisements capture moments from Swartzwelder’s pre-comedy career writing in advertising for the Van Brunt & Co. agency in Chicago. During this time, he mailed in a joke to Letterman without a return address, only to have head writer Jim Downey track him down in Chicago and bring him to New York for a meeting. 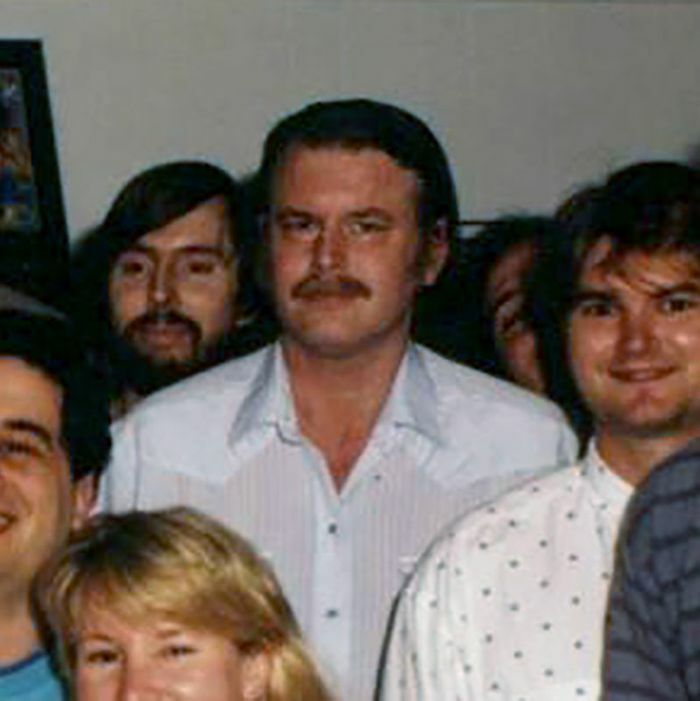 Swartzwelder began smoking, drinking, and generally maligning the state of television minutes after meeting Dave Letterman. (He did not get a job.) It’s one of the longest interactions involving Swartzwelder ever recorded, as told by Downey in the comedy history book Poking a Dead Frog by Mike Sacks. Like the characters Swartzwelder writes, the man himself seems to be a bit of a cowboy, one who does not trust the media. The problem with reporters was - after you'd told them the truth they still wanted more. So you had to start lying. - "Double Wonderful"
. @TheSimpsons EARTH SHATTERING NEWS @JJSwartzwelder is indeed the great John Swartzwelder we know and love @scullymike !!! Welcome John! For those of you who haven't seen it, there's some very good comedy acting in this. And the rest of us did our best. On paper, Swartzwelder bears quite a resemblance to his contemporary, Jack Handey. A prolific absurdist comedy writer, Handey pioneered another charismatic, violent idiot protagonist in the brilliant “Deep Thoughts” segments on Saturday Night Live. Handey himself describes the “Deep Thoughts” character as a “borderline psychopath” in a 2013 interview with NPR. In fact, Handey and Swartzwelder had overlapping stints at SNL in the ’85-’86 season. Like Swartzwelder, Handey’s comedy is devoid of any topical references, and instead reads like demented Zen koans (“If trees could scream, would we be so cavalier about cutting them down? We might, if they screamed all the time, for no good reason”). If Jack Handey is a comedy writing legend, Swartzwelder is a comedy writing Bigfoot. There are few sightings, unconfirmed audio recordings, and as followers of Bigfoot can relate, some concerning anecdotes. Luckily, there’s nothing the writer has done — that we know of — that warrants the “the art vs. artist” conversation. But he could also be an accomplished serial killer. There’s no way to know for sure. The more you read about the man, the more difficult it is to understand where Swartzwelder stops and his characters begin. As Swartzwelder was never implicated in the disappearance of Amelia Earhart, we are probably safe to laugh when he joked about it. Simpsons writer David X. Cohen, in a DVD commentary (according to Wikipedia and several Simpsons forums), said Swartzwelder was an anti-environmentalist who once went on a long rant about there being too much rainforest. He’s also tweeted jokes about pollution being good for the environment. (Rumors circulated that Swartzwelder inspired the Libertarian character Ron Swanson on Parks and Recreation, but they were put to rest by Mike Schur: “Plus, isn’t Swartzwelder like a Whig or something?”) Knowing this information, a silly joke might take root in actual scorn for public officials and bureaucracy, and makes the recurring themes of “thought police” and “Big Brother” more interesting. He’s a complex figure: Despite being a noted gun-rights advocate, he’s also credited with penning a ripping Simpsons episode (“Homer the Vigilante”) about our country’s obsession with guns. Conan O’Brien, a colleague of Swartzwelder for a time, once described him as looking like “someone who would arrest an anarchist for throwing a bomb at Archduke Ferdinand’s carriage.” For a time, he collected wanted posters, and he also purchased one of Hitler’s paintings, as Simpsons writers told Vanity Fair in 2007. These stories force the reader to wonder: Is Swartzwelder always doing a bit? Living a bit? This is someone who used to rent out a professional baseball field once a year to play a game with friends, as Al Jean told Fox Sports. Perhaps it’s true then, as it says in Swartzwelder’s Twitter bio, that is he’s a “home run hitter (Safeco Field, Cheney Stadium. )” What appears to be a bit is much closer to reality — possibly even true. While we scrounge Twitter waiting for the latest writing prompt (in between warnings of fascism, requesting crowdsourced medical support, and writing the occasional article), Swartzwelder has been quietly providing excerpts of his work to a modestly sized audience. His feed is an under-viewed resource for absurdist humor from one of comedy’s greatest writers. It’s like a free sample guy at Costco, tucked away into a corner unbothered, while the rest of the store has been picked bare and/or is on fire. When you need a break from considering the complexities of this man, wondering if it’s fair — or even possible — to paint a detailed picture of a person pieced together from secondhand stories and short glimpses told by his colleagues, look at his tweets. They’re good.